Road Trips on the Horizon: Spring Car Tips for Your Car! | Gold Eagle Co.
Road Trips on the Horizon: Spring Cleaning for Your Car! Spring cleaning is a time-honored tradition in many households. This year, as winter gives way to spring, extend this important rite of passage to your vehicle. Head out on your next road trip in a vehicle with a sparkling exterior and a crisp, clean interior. The mountains, forests and beaches await! Many people associate road salt with northern winters. However, it is a necessity across most of the country when ice and snow occur. About half of all states lie within the “salt belt.” Road salt adheres to exterior surfaces. It also goes after undercarriage components like brake lines and electric wiring. There are creative efforts to reduce the use of road salt. Some municipalities have added cheese to it to make it stick. Others have spread beet juice on the roads. Still, Smithsonian magazine says annual usage amounts to about 137 pounds per person! Those that live in regions where salt spray is a fact of life understand that it invades every nook and cranny of your vehicle. The same is true of road dirt, dust and oily grime. As the warm winds of spring arrive, you want to wipe away every sign of winter’s wrath. Your vehicle’s spring cleaning includes three key steps – wash, detail and protect. Many motorists begin the process with a quick trip through the local car wash. A brushless wash minimizes the potential for unwanted scratches. A well-maintained car wash with brushes is a safe bet too. 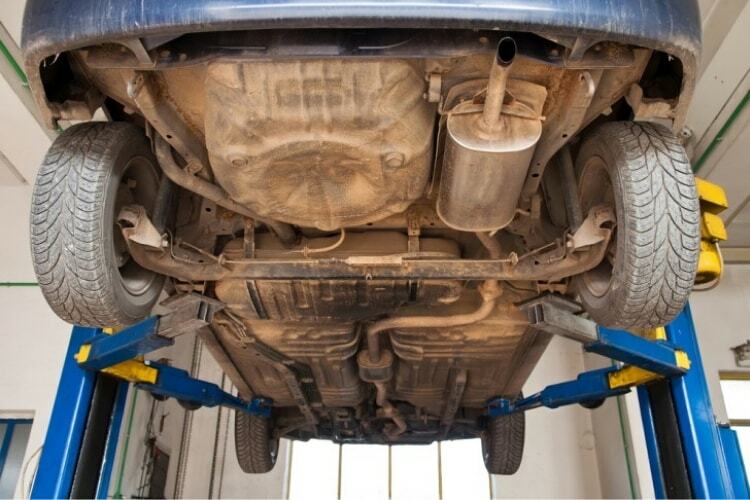 Add the underbody flush to remove salt and grime from that important part of your vehicle. You’ll want to detail your vehicle with products that leave little hint of your cleaning efforts. Use a streak-free product like 303 Automotive Speed Detailer on virtually all exterior surfaces. Continue to use it as a cleaner between washes. 303 Touchless Sealant delivers important UV protection during those sunny summer days to come. Simple spray on-wipe off application saves you time. Enjoy paint protection that often lasts twice as long as that provided by regular car waxes. Protect the exterior surfaces of your vehicle at a fraction of the cost of ceramic coatings. Give your tires some extra TLC with streak-free 303 Tire Balm & Protectant. Superior UV protection prevents cracking, fading and dry rot. Keep that “like new” look for a longer time. You’ll want to wash, detail and protect the inside of your vehicle as well. Salt dust often works its way into the cabin, and salt deposits build up on carpeting. 303 Spot Cleaner takes on salt, dirt, oil and grease. Use it as a spot remover or general fabric cleaner. This product works on upholstery, carpeting and other water-safe surfaces. You can also clean vinyl, fabric and other interior surfaces with 303 Multi-Surface Cleaner. The multi-surface cleaner takes on stubborn spots caused by grease, oil and ink. Simply spray it on the spot until it’s wet. Rub the area with a wet cloth or soft brush. Wipe up any residue, and rinse with clean water. Repeat the application as necessary. When the surface is dry, apply a top coat of 303 Aerospace Protectant. 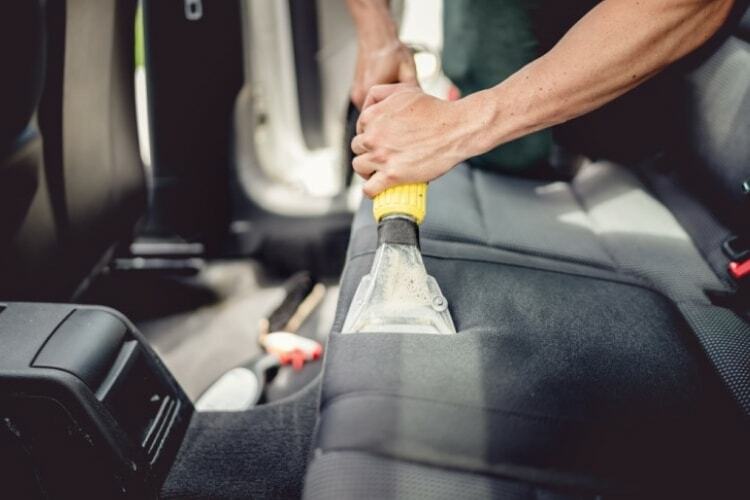 For leather surfaces, use 303 Automotive Leather 3-in-1 Complete Care. The residue-free, stain-resistant formula creates an attractive matte surface. It provides essential protection against the sun’s UV rays. It also conditions leather to inhibit fading and cracking. Use the entire 303 line of cleaners and protectants to protect your vehicle investment. A new season of memorable road trips awaits!